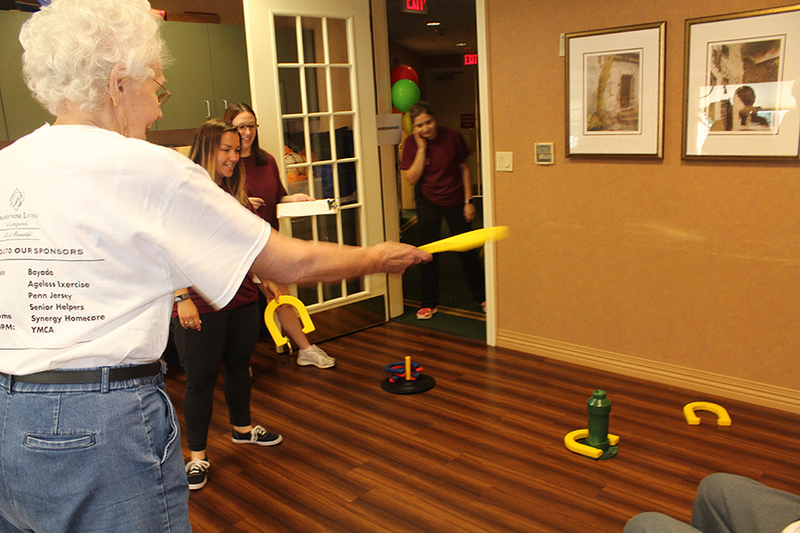 On June 21, 2018, Brandywine Living at Longwood hosted their biggest and highly anticipated sports event of the year — The Brandywine Living 55+ Games and BBQ. 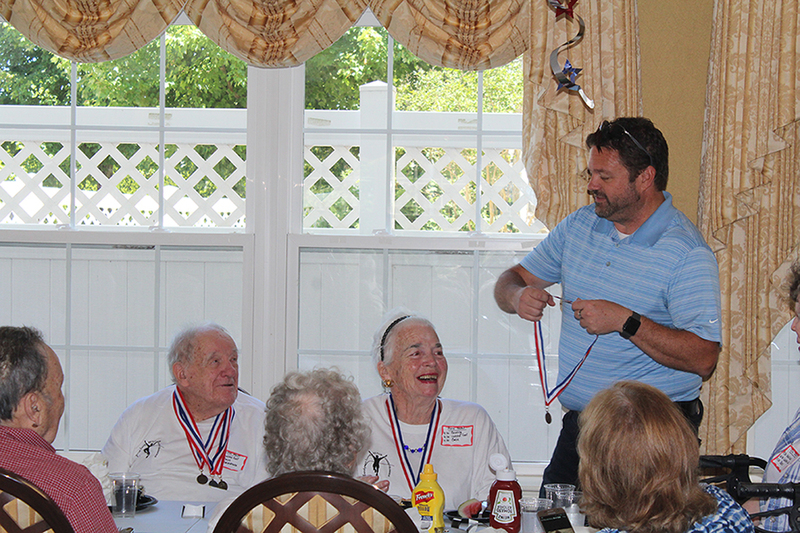 The annual games promote active aging, good sportsmanship, and community involvement to Kennett Square seniors. This year’s event marked a very special milestone for the games. Competitors tested their skills in a combination of athletic sports and recreational games for the chance to be awarded bronze, silver, or gold medals. Additionally, every competitor received an honorary certificate of participation. After the games, seventy competitors and over twenty volunteers came together for an awards ceremony and BBQ luncheon emceed by Matthew W. Fetick, Mayor, Borough of Kennett Square. Brandywine Living at Longwood looks forward to continuing this annual community tradition and appreciates the annual sponsors who help make the event possible. 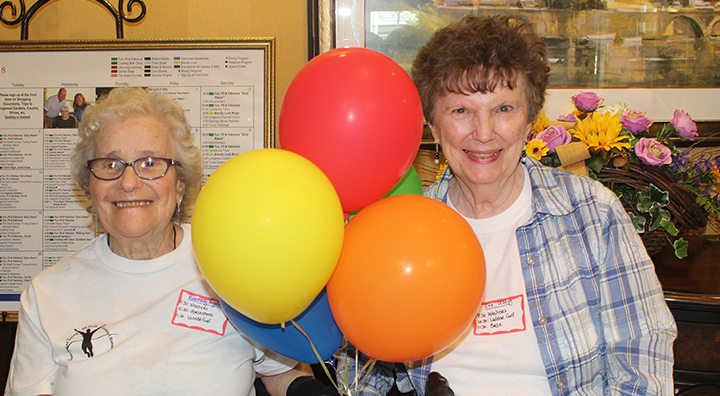 The 2018 Brandywine Living 55+ Games and BBQ sponsors included The YMCA, Grieco Family Funeral Homes, BAYADA, Ageless Exercise, Holisticare Hospice, Dunwoody at Home, Rehab 1, Dr. Saji J. Simon, DPM, Synergy HomeCare, Senior Helpers, and Penn Jersey Paper Company. Brandywine Living (formerly Brandywine Senior Living) is a market leader in luxury senior living, including assisted living, memory care and independent living. Founded in 1996, and headquartered in Mt. Laurel, New Jersey, Brandywine currently operates 29 communities in six states (PA, NJ, NY, CT, VA & DE) with capacity to serve over 3,000 residents.